What an interesting read.... Everyone so passionate about the brands they have bought into, look they are all good cameras but wont suit everybody's needs as a photographic tool, but there are choices and good choices as an alternative. Buy and try that's what I do and enjoy the technology on offer ! Yes and considering it is on sale at B&H for $299.99... The LX7 is a HOT deal right now. the most interesting thing about this thread is the insistence by some that their favorite be on someone else's list. it's just a list, not the word from on high. a lot of cameras make no one's top 5 list and are wonderful for the user. enjoy, enjoy! i don't find this list strange. the fact is that whilst looking for a smallish camera with a zoom lens i looked at three of these - the fz200, the xz-2 and the rx100. all three have something to offer given my basic criteria of smaller and lighter than my k5, generally more convenient for grab and go than my m9 and better in low light than my dlux4. i opted for the rx100, but if it doesn't work out, the xz-2 (which is just a tad bigger than the dlux) could be the one. i must be one of the few who is not enamored of canon colors, so the canon would not make my list at this time. this is a good starting point list if you recognize that it's for those who want a camera with a zoom lens that is not a dslr. after that, caveat emptor! I think a lot of people just want the best IQ in a still compact form. For a long time this meant 1/1.7" sensors. Then came the Fuji X100 (and Leica X1) but they were beyond compact for most and outside of the 'compact' price bracket. 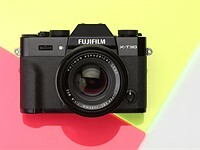 After that we got the Fuji X-10 but the difference in sensor size was not that large. At the same we got faster lenses in the 1/1.7" sensor size, first the LX3/LX5 then the XZ-1, and now the LX-5 (and the G15 also has much faster long end). Thus the people-who-care-about-IQ-in-compacts market got broader, from the Canon S series up to the Fuji X-10 and G15 but no 1/2.3" sensor camera would ever fall into the category: I'll fix a size, give me the best IQ in that size bracket. And then the RX100 happened and except for the long end upended all previous 'compacts' in low light and everybody in good light IQ. Seems to me the RX100 is the winner. Like earful I don't prefer Canon-like colors (and like him/her I had a K-5). Last year I bought the XZ-1, which is great in many situations, but not in low light, and it isn't much smaller than my NEX-5N (not including the lens, though). With their superb EVFs, on either of these, you got a not as easily transportable package. The new XZ-2 promises to be better in low light, though! That's a question you should probably ask Canon UK. Yes I know. But if I ask them, nothing will come out of it. If somebody like you asks them and tells them that DPR readers (and potential Canon buyers) are indeed noticing Canon UK are asking for a lot more money than they should, then maybe we could all benefit. Just tell them we are being put off by such tactics and going to other brands that appear fair to their British customers. FZ200 considered a compact camera.....either the dpreview editors were nipping on too much Thanksgiving special sauce or they took a dose of stupid pills. No, I obviously did not read the introduction and profusely apologize! As a 'plus' for the olympus XZ-2 I'm surprised DPReview hasn't mentioned the VF-2 (and VF-3) optional EVF viewfinders. On a recent sunlit woodland event the Vf-2 proved a great bonus for some photos on the XZ-1 ... just saying. What an odd grouping of cameras. They only have two things in common, they have non-removable zoom lenses and dpreview liked them. Some of the things dpreview liked and didn't like seem very random. Example: They said the LCD on the RX100 can be hard to see in bright light. Isn't that true of all LCD screens? Isn't, for example, the screen on the G15 also hard to view in bright light? Why no mention of that? I'm lead to believe that the screen on the RX100 more difficult to view in bright light than all the others. I don't have the camera, but I thought it was suppose to have an advanced LCD that actually made it a bit better in bright light. Can an RX100 user comment on whether or not the LCD on that camera is especially bad. We wrote about this in our in-depth review of the camera (you'll find the link above). "What an odd grouping of cameras. They only have two things in common, they have non-removable zoom lenses and dpreview liked them. ": That seems like a good criterion. Barney, I have read the review, in fact I read it when it first came out. 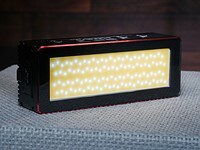 Not to beleaguer the point, but in the review dpreview seems to make the comment about the LCD in the context that it is still hard to see in bright light in spite of the "Whitemagic" technology it employs. Above, there is no context. Rather you simply find fault with the LCD on the RX100, but not on the other cameras. This lead me to wonder if the LCD is the worst of the bunch, which is not an unreasonable question, though it apparently is one you can't be bothered to answer. PC Wheeler, This is indeed an odd grouping of cameras in my opinion. They range from a tiny compact $200 camera, to a large advanced superzoom, to another compact that costs $650. Barney, the word odd is not synonymous with the word bad. I mean its strange and not something I've seen done before. Dpreview can do what ever groupings they want and it won't offend me in the least, of that you can be sure. Might I suggest that next dpreview puts together a group you like that are available in the color red. After all, Christmas is coming. Thanks Panasonic for the FZ200 f2.8 lens. I have to laugh at all the fanboys crying over their keyboards because they didn't read the intro and their cameras are not mentioned. Come to think of it the Yashica Electro 35 GT isn't on the list, come on Dpreview, what are you thinking???!!! I've been whipping myself with knives in penitence all morning. Well, Barney, sure you don't care and I'm not a compact user, but I think you could have reviewed the Nikon P7700, which, from the samples, seems to have the best IQ short of the RX100. I've shot a lot with the P7700 (and I like it) and we fully intend to review it. Just because Canon 'wins' in this single - short - article, doesn't mean that Nikon 'loses'. How soon a review of the P7700. I wait with a herring on my tongue. Yes. The Electro 35.....my first real camera! Funnily enough, that exact same design and exact same simple set of features, with a FF, or even APS, sensor in place of film, would be a mega-hit still today. And would be top of loads of Black Friday and Xmas lists. 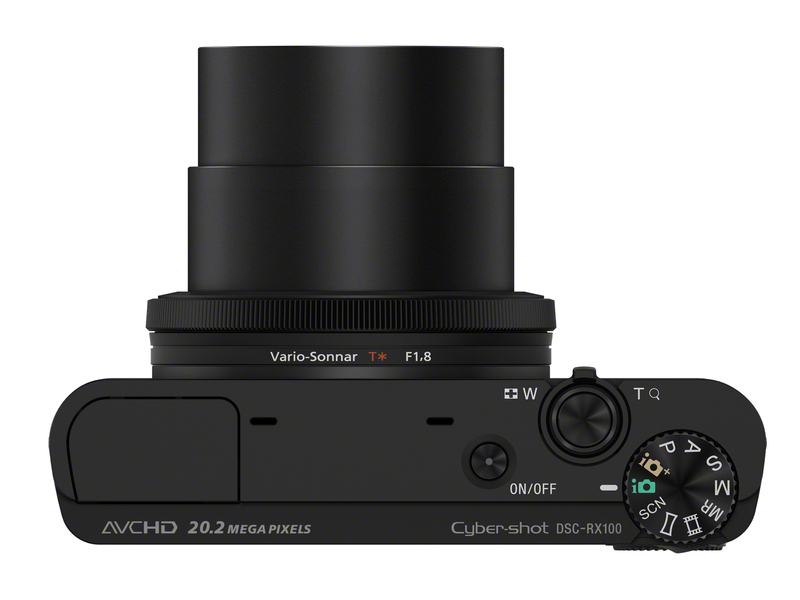 Hell, it would beat RX1 in my book. 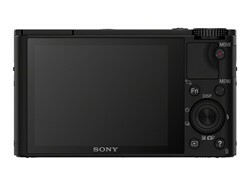 A simplified X100, with RF focus, no AF, no EVF, no complex menus, raw only. Do not even really want a LCD on the back, just the 2 little flashing LEDs on top. Your Electro 35 mention got me dreaming this morning,.. ;-) thanks! Interesting list. I was smart enough to read the text first :) so I was not surprised at the variety. As always, personal preferences, brand loyalty etc. will have many disagreeing. It is after all only recommendations. "Compact" surely implies "holding together". Does it also necessarily mean "small" ? Compact does not mean small or holding together. The best synonym I think is dense. high specific gravity. packed full of something or another, even force-filled. with technology presumably in the case of these cameras. Of course we all know that RX100 is the only compact camera here. The rest are just normal specific gravity. One of many meanings/definitions of 'compact' is 'taking little space' - which is the same as saying that something is 'relatively small'. So in the context that it is used here, it does essentially mean 'small'. late 14century, French word compact or Latin compactus= "concentrated"
--"with, together"+ "to fix, fasten"
and however i am not fan of this sony´s cam (else than its excellent built quality) , how can a RAW capable cam can be lower on that list than a jpeg only zoom cam? ps: and wondering where is the LX-7 in this comprehension, and have you checked nikon´s P7700 yet ? Quote: """ how can a RAW capable cam can be lower on that list than a jpeg only zoom cam? """ Because it's an alphabetical list, it does say that. This seems misleading, and I fully agree with Slanicka below. LX7 is a really great little camera (the best? ), and you have yet to bring a full test of Nikon's P7700, which naturally belongs in any group including the G15. 'DPReview recommends' - you can argue all day about what we chose to recommend, but it's not misleading. I can't believe my eyes. I have checked calendar. Today is not 1.april. 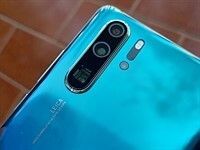 Where is LX7, P7700, XF1 and other cameras which takes good pictures? If you define category which requires to choose between G15, LX7 or P7700, so I don't agree but accept that the G15 win. But the theme is Compact cameras. Compact. So why is FZ-200 between compact cameras? Is it possible to put this monster into pocket? No! Much more compact than FZ-200 is G1X. Boys, boys, I believe that you made this list of top 5 cameras with good intention but without description of your ideas we don't understand to you. This is intended as a market-spanning quick roundup of 5 (in our opinion) standout models, from point-and-shoots upwards, covering the major classes of compact zooms. I would hope this is obvious from the selection, and from the explanatory text in the opening paragraphs. And the G15 doesn't 'win' it's just first in the list because it's an alphabetical list. The one you left out is the superb Fujifilm X-10 which has excellent image quality, a larger 2/3" EXR sensor that provides superior high ISO/low noise and dynamic range performance, a fast zoom lens that works like a real camera, superb build quality, a 7-element coated optical viewfinder that is actually useable in the real world (unlike the one in the Canon), built-in optical image stabilization, and super macro focusing. This camera is also way more fun to use than those listed here. To Barney Britton: What could it possibly matter if there is just list of cameras from 5 classis? Whom it will help? I think this is illusory list because it looks like list of Top 5 cameras. People just don't get it.. This is not a definitive statement. it is 'DPR recommends' from a broad range.. It will never be and was never intended to be yours or mine choices to be included. "The one left out" - many are "left out" as it were, I for one would have added the fun-to-use Casio EX-ZR300, but a lot of people would not have. But DPReview picked their five. FZ200 is certainly not pocketable, compact? Not in my opinion. Yet you made it through the G15 without having the same thoughts? 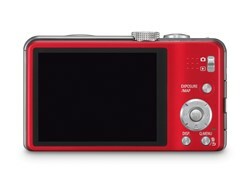 @Alser - but it is a 'compact camera'. 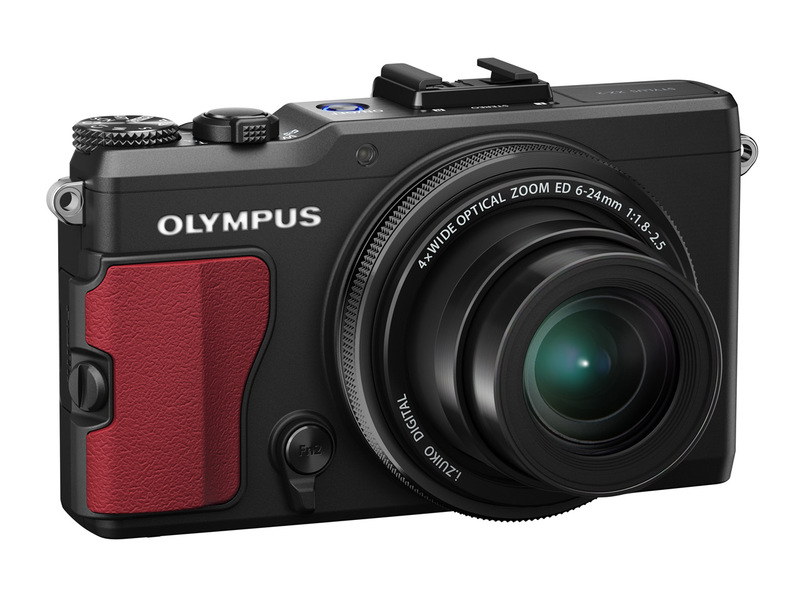 And this is a roundup selection of our top 5 recommended compact cameras. By the way, I have carried an FZ200 in my coat pocket more than once. It fits in just fine. Thanks for the reply, what do you intend including in the bridge camera section? 'bridge' is a fairly outdated term, but the FZ200 is a 'bridge' compact camera, if you want to call it that, and at this point in time, it's our recommendation in its class. But the Nikon P510 is very nice too - unexpectedly nice - and good value. Which is mentioned in the text. Apparently "compact" is overused as "bridge" is outdated. I think the COmpact term opens up a possibility of a lot of cameras to include. Do I think the FZ200 is compact? 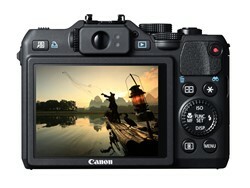 Kind of i guess but then if you add this camera you need to then include the NEX 5n or 7n. But like someone else said these are all good cameras. 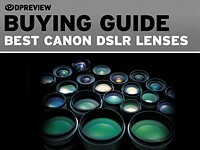 For anyone who is using this list as a guide, I would strongly urge them to compare some of the images from these cameras to images from mirrorless DSLRS. 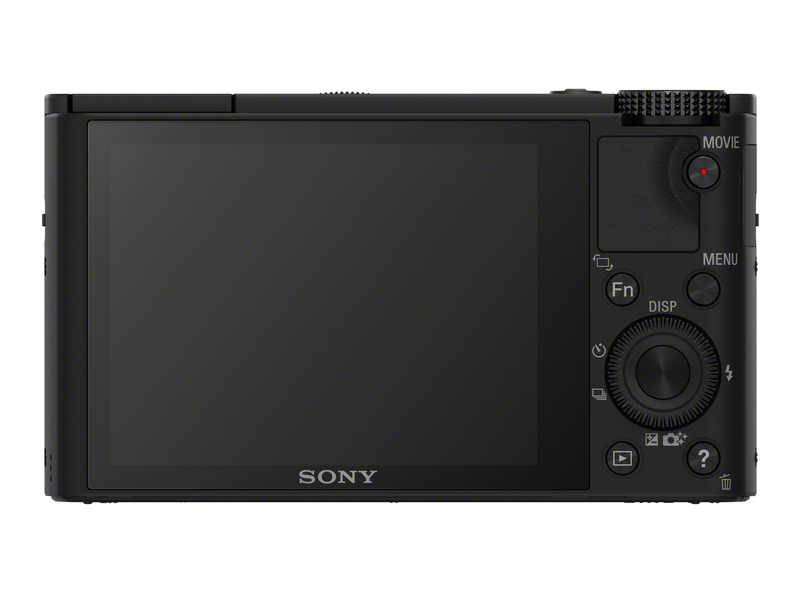 With the exception of the Sony above, you will not get the same image quality (or video quality) from these cameras as you would from one with an APC-C sensor. Plus, you lose the flexibility of adding on lenses down the road. If a long zoom range and (coat) pocketability are must-haves, then go for it. But if you are like the majority of snapshot shooters and typically try to get wide shots, consider a camera like the Sony NEX-5N with a 16mm kit lens. Either way, just make sure you look at plenty of photo examples on line and see which camera produces the kind of look you like: bigger sensor = better looking photos with soft backgrounds. 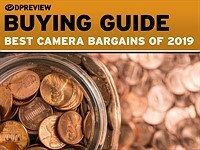 This list is about compact cameras. System cameras are simply not small enough and offer only marginally better image quality. Besides, for most shooters little dof is NOT what they want. I guess I'm not familiar with the strict definition of "compact." What is it? And does the FZ200 fall into that category? I second that advise to look at mirrorless cameras. An E-P M or GF-5 plus pancake is certainly smaller than a bridge and thicker but same width and less high than a G15. Same is true for the Nikon 1 series. Urbanplanner, the definition is given in the article. Looks like a list for people who don't do their own homework - they might end up with something completely different. X10 blows away any camera listed here. Please consider it if you are shopping for an incredible little camera with fantastic abilities. Nothing for people who don't do their own homework. See above. I certainly wouldn't part with my X10 for any of those listed cams.-no way. Would you feel more secure about your X10 purchase if you saw it mentioned? Fuji is AF handicap(molasses), did I mention their sub par glass, no thanks. X10 doesn't blow away anything. It is a great camera, but just a little too big, esp. regarding thickness. Agreed. And there's no issues around AF from a real-world perspective. Thanks for your concern but my personal and technical security is doing quite well and the X10 endorsement was not intended for closed-minded cynics. All others are highly encouraged to test out the X10 and see how it compares to the ones mentioned here. After seeing the quality of X10, i decided to switch to Fuji X system . I got my X-E1 last Friday and I LOVE it. I will be buying all their lenses slowly. I know nobody cares what I say, but DPR, you should start paying attention to Fuji! Michael_13, Are you kidding me? G15 vs. X10! Hello?! I wonder if he's actually shot any of those two. I personally wouldn't want my X10 to be any smaller, it's just perfect as it is, at least for my big hands, we're talking cameras, not toys or phones. BTW, the AF on my X10 is the fastest I've seen on any compact camera so far, faster than any of my NEXes (5, 5n, 7) especially in low-light. Fuji bias. What's wrong with the X10 in your view? A stellar camera. Read the Cons (and, of course, the Pros). It's not as if we don't publish this stuff anywhere nearby. I think the cons comments are misplaced, but I then I live with my camera and use it everyday. There's no way you can tell me the G15 sensor is better than the X10's. I guess the confusion arises from the "compact camera" term. Here it is obvious that is being used as "non-Interchangeable Lens Camera". Not that the camera is compact in form or size. Most cameras here are compact/pocketable of course, except the big Panny. Why wasn'tt the G1X included? Because in that high-end segment, we prefer other cameras more. My guess: Because it is not well balanced in its pros/cons. Do you think G1X much higher price than Sony ($650)? Amazon says $700 for G1X! Barney, I think it would be a more useful and interesting article if you detailed why you chose each camera in each segment. Most of us aren't choosing a "superzoom compact" vs a "pocketable compact". We decide we want a superzoom then choose in that category. So an experts view on why the Panasonic edged out Canon, Nikon, et al would be great. 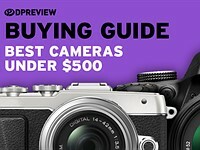 We've already published in-depth content on all but one of the cameras in this article, and more will follow - this is a deliberately quick overview on a day when a lot of people will be shopping for good deals on cameras (in the US, at any rate). It was nice seeing RX100 at the end of the list which is what you expect if it is the best in the list right? Best IQ and smallest. - you avoid tele-end (the lens is quite a lot slower @tele than the LX7, XZ-2, P7700 and G15, forcing you to use high ISO). The RX100 is about half a stop slower at the long end and about a stop faster at the wide end than LX7, XZ2 and X10 once you account for sensor size. And that is only for low-light IQ, for good light IQ, the RX100 eats them all for breakfast. It's weak point is the lens' optical quality. Best to stay away from the tele end and from close-ups as you say. But then different raw files are the weak point of the X10. The sensor size is NOT to be taken into account ! That means, if a scene requires 1/30s @ISO800, f/1.8 for 5DMkIII (full frame), then it requires the same 1/30s @ISO800, f/1.8 for G15. In other words, f-number has twofold impact on your photography: a) it determines DOF, b) it influences shutter speed. But while for a) you have to account for the sensor size, b) is not influenced by the sensor size. And sensor size influences SNR for a given ISO. 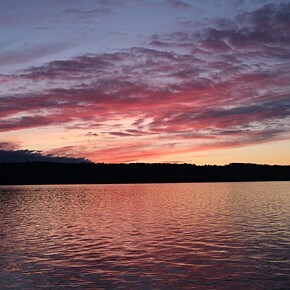 The larger the sensor, the better the SNR for a given ISO. Inversely, the larger the sensor the higher the ISO can be for a desired SNR. To use your approach: if a scene requires a SNR of 30 db than you would use about ISO 140 on the LX-7 and ISO 400 on the RX100. Using the corresponding maximum f-stops of f/1.4 and f/1.8, you could use, eg, 1/50 s on the LX-7 and 1/100 s on the RX100. Voila, the RX100 is one stop faster in terms of shutter speed for an image with the same SNR (ie, same amount of noise). Decent list, although I don't see how you exclude either the Fuji XF1 or the Nikon P7700 for a camera like the ZS20. IQ of the ZS20 is just nowhere near these two cameras, and you already have a super-zoom in the FZ200, why have the ZS20? Outside the RX100, the XF1 has the very best IQ of the bunch, and an extraordinarily sharp manual zoom lens (both the XF1 and RX100 have slow f4.9 max apertures at 100 but the XF1 is wider at 25mm @ f1.8). The same probably could be said for the P7700 regarding IQ, AND the P7700 has some fantastic manual video goodness, mic jack, tilt-swivel LCD that even the Canon does not have. I would also probably put the Canon S110 over the ZS20. The ZS20 is a good camera, but lack of raw and mediocre jpegs is kind rough if you're picking the cream of the crop. 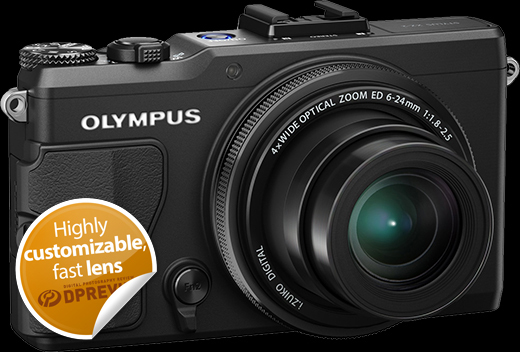 The list is meant to span the compact camera market. Giving you our recommendations across that segment, from point-and-shoot, through superzoom, up to high-end Raw-shooting enthusiast models. I had hoped this woud be very very obvious but have edited the introduction to make it even more so. Understood. Didn't mean it to sound like a complaint. Thank you. sir. Great article. Wanted to make one point: I have the RX100 and it's so-called 17MP still shots when recording video really isn't as good as DPR makes it sound. It's an up-scaled image, probably from a still frame of the video I suspect. And the click of the shutter button is easily audible on the video being recorded. It was a feature i was looking forward to using a lot, but it is, at best, an emergency-use only feature. Interesting article... Unlike the older reviews of various classes of P/S cameras helping us to select the one that best suited our needs these cameras really don't compete with each other. Does this article represent what DPR considers the best of class??? It's a quick overview of what we think are 5 of the best compacts currently on the market. This is not a group-test, because the 5 cameras in this list are drawn from different segments of the compact camera market. Great list DPR keep up the excellent work....wow this thread is just pure comedy. It is a classic thread! There's one side of me that says "guys just stop posting and go out and take some photos with whatever camera you have" and another side of me that just can't help coming back for another look!! I totally agree with this shortlist ! 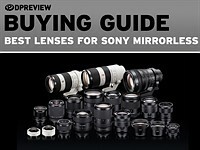 Why is Nikon V & J NOT included, same sensor as the Sony......umm. Did G15 hit three birds with one stone, these birds V, J and the P7700......I guess so. The Nikon 1 V1 and J1 aren't included simply because they're interchangeable lens cameras - an entirely different class. 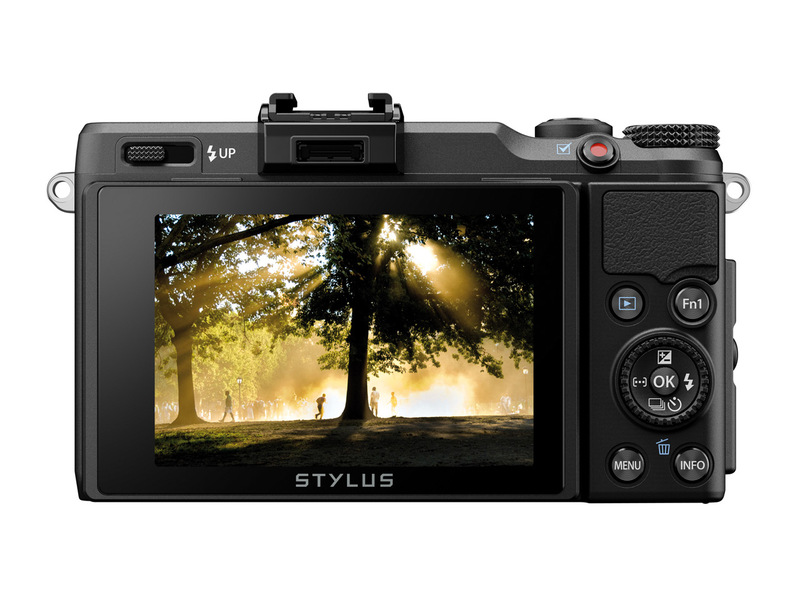 The Canon EOS M, Sony NEXs, Panasonic Lumix Gs, and Olympus PENs are excluded for exactly the same reason. 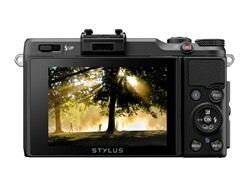 And the P7700, XF1 and LX7? 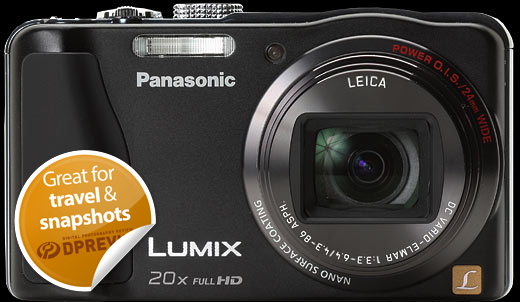 You'd really suggest a Panasonic ZS20 over either of these three? All the zoom range in the world can't make up for the ZS20 weak IQ vs the above three. Andy, understood. Guess I'm just not a superzoom fan but I do appreciate the work that you guys do. Thanks. But who would want to shoot distant subjects with diffraction, DOF, and SNR equivalent to f/32 on FX??? You'll likely end up with visible camera shake, subject motion blur, diffraction blur and image noise at the same time. Even at base ISO in good light where camera shake and subject motion blur might be absent, diffraction blur and contrast muddying remain and noise is still present. 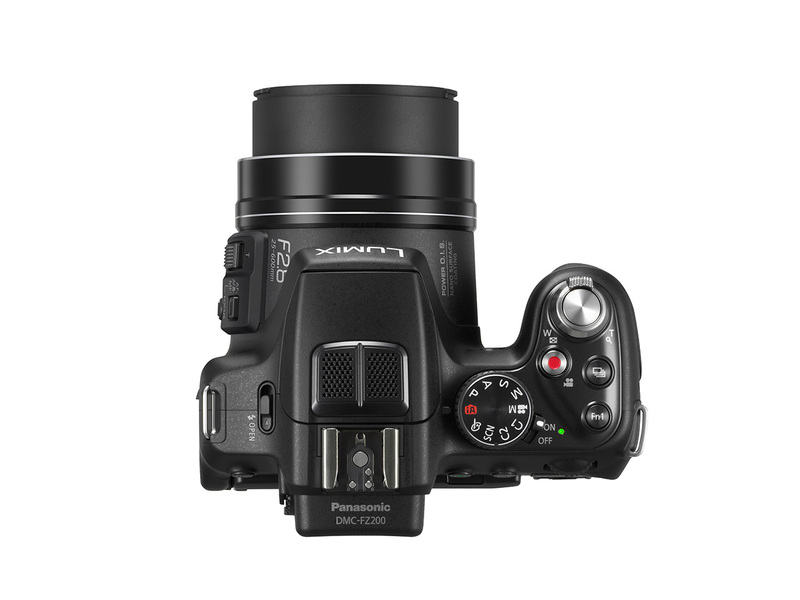 Be Nice to understand if what was excluded, like the Panasonic LK7, and Nikon p7700, was for meritorious reasons or for, well we just haven't had a good enough look at it yet to make a fair comparison. Some publications do this sort of thing on a rolling basis like the hit parade, such that when something comes along that is better, the line up is changed to reflect that. Nevertheless a useful list Thanks DPR. I sympathize with DPR staff, really. First, they are nice guys and they do the very good job ! But this article just feels like an (hopeless) attempt to tame the rabid RX100 fans who polute all the comment sections with their resolute demands for an immediate annihilation of every camera with sensor smaller than 1". At the same time, the article falls victim to the absurdities of the camera industry terminiology that developed over the years. "Compact" and "P&S" are terms introducing far more confusion than benefits in camera categorization. - "P&S" is a terminological fossil from 1960s, as instead of camera's capabilities it describes the camera's operating mode. - the disadvantage of the term "compact" is that one is not clear whether it describes the size or atomicity of a camera. I think the most reasonalbe way out of this mess is to accept the situation that we have several (possibly overlapping in particualr aspect) categories of cameras. Interesting and all deserving of "Gold" awards (probably a few other should have been included - but then would be top 10). However all catering for slightly different markets......from superzoom to enthusiast.......anyway.....good drool material. 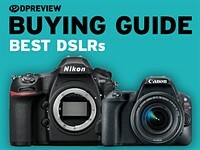 Why Nikon P7700 isn't in this top5 list? 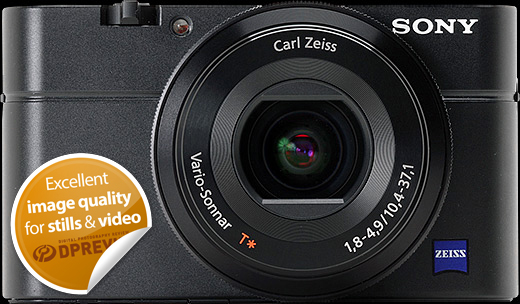 The P7700 deserves to be there as much as ANY of the other cameras, including the RX100. Don't know who is agreeing with you, but few (if any) enthusiasts would take a ZS20 over a P7700. The big zoom can't make up for it's subpar IQ relative to the P7700. This list is intended to cover a range of different types of compact. I've now made that clearer in the introduction. Other models worth looking at are mentioned (and linked to) in the test. Barney, I am a regular visitor here and really like your efforts, generally. But this kind of tests sux, and it is good that your readers says it. It tries to do by far too much - and that with only five cameras. The cameras are only examples, even though good ones for five different categories. It would be better to describe the five categories in general, and then (without much words) mention 5 good cameras from each category. Using your standards there are probably a dozen cameras deserving to be in the top five which posses a little bit of a problem. I find this general recommendation a bit hard to interpret. For instance "best all-rounder" sounds like the best all around... But probably has the worst image out of the bunch. RX100 which is quietly tacked at the bottom is a true gem, and its position misleads people to believe it is an afterthought. While Canon G15 is sitting in the top spot (I guess alphabetically) with meaningless comment like "fast lens, great ergonomics." Its lens is no faster than few others and ergonomics alone surely does not qualify a camera for such an endorsement. Perhaps it would be better to have some table with types of features reviewers have been looking at and how each camera has scored. This would in a glance explain the criteria for each. Quote: "Here are the cameras we've selected (in alphabetical order). " Unquote. cannot see, and call themselves photographer? Are you really suggesting we should include cameras in the list purely because of the brand name on the front, rather than on merit? Partly yes. People want too choose between brands so just put the best compact each brand (major) has to offer. @D1N0 - I'm sure that article would get read (and commented on...), but recommending by brand (for compacts at least, where there's no collection of lenses to stop you from buying outside of 'your' brand) goes against what we try to do with our review content. The cameras we recommend are recommended for their merits. The name on the front doesn't come into it. So if your meriting system favours a certain brand (like Panasonic) then maybe there will only be Panasonics in this line up. Choosing a camera is very personal. So if you would let me use the weight slider, of each merit category, maybe five different camera's would come up. 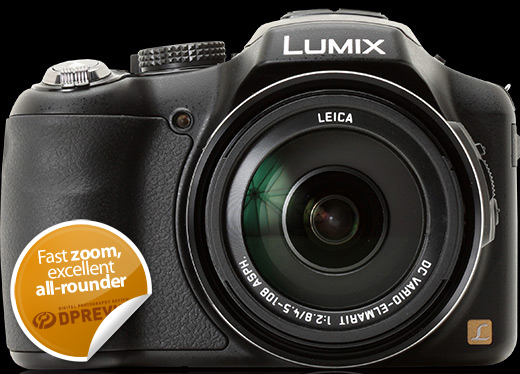 And LX7 that is currently sells for $299 didn't make to "recommended" ??? 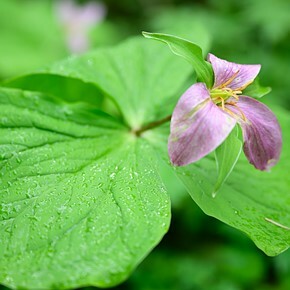 See DPReview replies below.... the XZ-2 beats out the LX7. Simple as that. Here in Europe it costs $600... what a mean spread. It is a short-term holiday deal, but a good one. 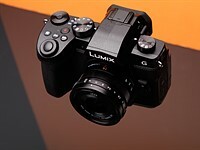 Why is the Panasonic Lumix DMC-LX7 not listed? To me, the image quality of the LX7 is on a par with the ZX-2 and a little bit below the Sony RX100. It was beaten out by XZ-2. See Andy Westlake's reply below. I like Olympus. I do not have the ZX-2 but I have the ZX-1. Based on previous reports the ZX-1 was a camera with a good picture quality. To me it was a big disappointment. I am not using it anymore, and I do not want to buy the ZX-2. The same happened with the Panasonic LX3. They said that the LX5 was better because it had a better lens (range), etc. To tell you the truth, I gave away the LX5 because it was no better that the LX3 at all. Its picture quality was the worst, it tends to overexpose some pictures, and it is poor in low light. I have own a few G series from Canon. I cannot complain about them. I have also tried the Sony RX100 (from Lens Rentals) and feel comfortable with it. 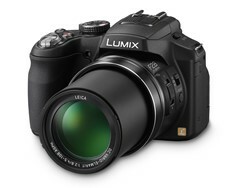 But showing the ZS20 instead of the LX7 -which is a good camera- makes no sense. At least to me. 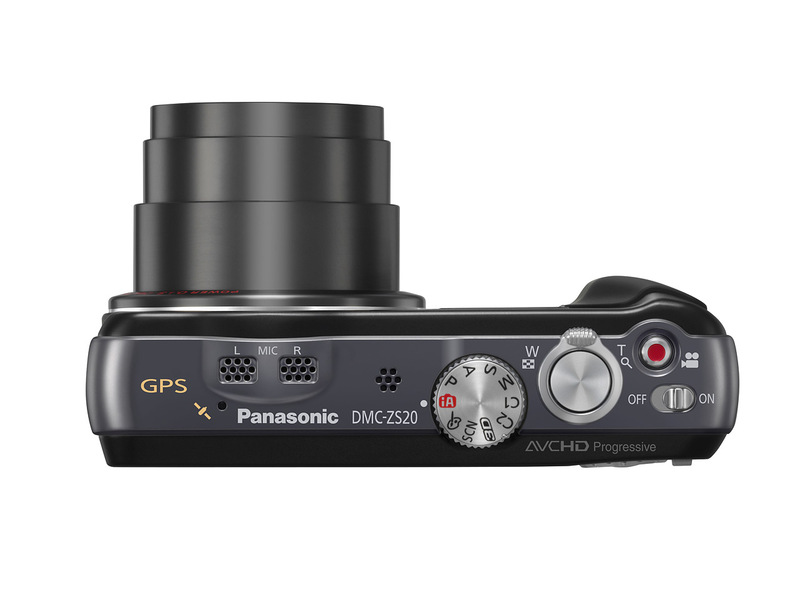 Why would I pay for $550 motorized toyzoom that is slow and sluggish and smeary even in lower ISO. Pay a visit to PTF and see all those miserable results from that camera. 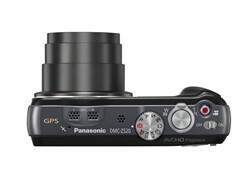 I can get a $300 Fuji HS30 and produce better result plus the excellent manual zoom and ergonomics. Thanks for making me dream for a while though..£360, I'd buy it tomorrow.. But then again it really could/should be £360 or less! See your RX100 USD/GBP market price ratio: 649/443 = 1.46. The equivalent G15 price in the UK should then be: 499/1.46 = £340. 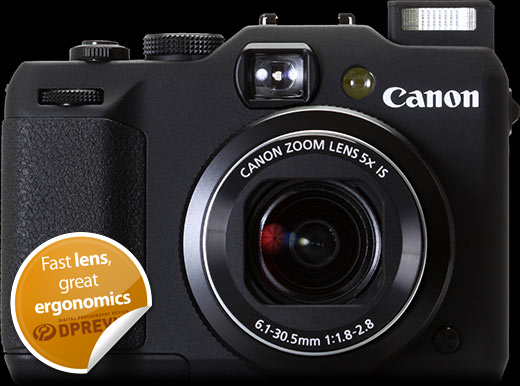 Why oh why Canon wants to push for such an inflated price in the UK? Do you have an idea? It's a question that has been on my mind for years. EDIT: I withdraw the "silently" as well then. I am surprised that the Fujifilm X10 is not included in this group. I'm not surprised; there's plenty of other cameras that didn't make it into DPR's pick. I realize Fuji has put a lot of effort and money into EXR development. But I think the X10 would have fared better with a same-sized Sony sensor. I think Fuji shot themselves in the foot with the orbs problem, not so much with the engineering, which I understand is fixed, but in there response, there is no way of knowing if you will get a fixed one or a faulty one, so how can DPR recommend it? As a former X10 owner, I agree with _sem_; the X10 was an almost great realization of its concept. Now I'm an RX100 owner (fanboy, if you prefer) and feel that it better lives up to its aspirations. The orbs problem is not an issue with any cameara with a "22XXXXX" serial number on it. Fuji will replace older X10 sensors for free so it's not an issue with any X10 camera. On the other hand, if your main concern is pixel peeping for fine detail the X10 doesn't equal the RX100. You're right Chris, the prices quoted very closely or exactly match amazon's prices (at least Amazon UK where I checked). Except that is for the G15 where they quote an incredibly low price which is about £140(220$) less than the actual amazon price! People maybe would be excused to think that DPR are indeed Canon-biased, when even mistakes make Canon look the best and cheapest.. The error in the G15 price has now been corrected. Yes, we do sometimes make mistakes, but equally, we acknowledge and correct them. Thanks Andy, I just acknowledged your correction above. If you could give me your opinion about my remark above on the relative GBP/USD prices I'd be grateful. This looks like a Camera Junkie's Christmas wish list! But seriously, kudos on such a great list! 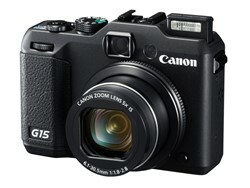 Please tell me where in the UK can I buy the G15 for 360£!!! The price you quote is way lower than the actual price which is around 440-530£. I mean if it was only £360 from a street shop (where I could easily go back and exchange it should it come say with a decentered lens-wouldn't be a surprise) then I would seriously consider it. But at £500 no way Jose. Irrelevant. 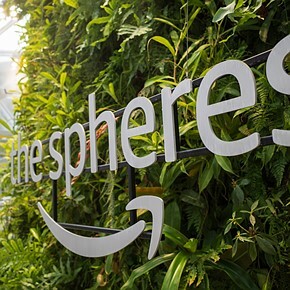 We're not talking about ebay prices, but rather "normal" shops like amazon or actual street shops (which give you a local warranty, the right to easily exchange if needed without extra costs, etc). That was an error, and has now been fixed. Apologies, that price was a mistake, now fixed. Should have had the LX5 not the bridge camera 200. 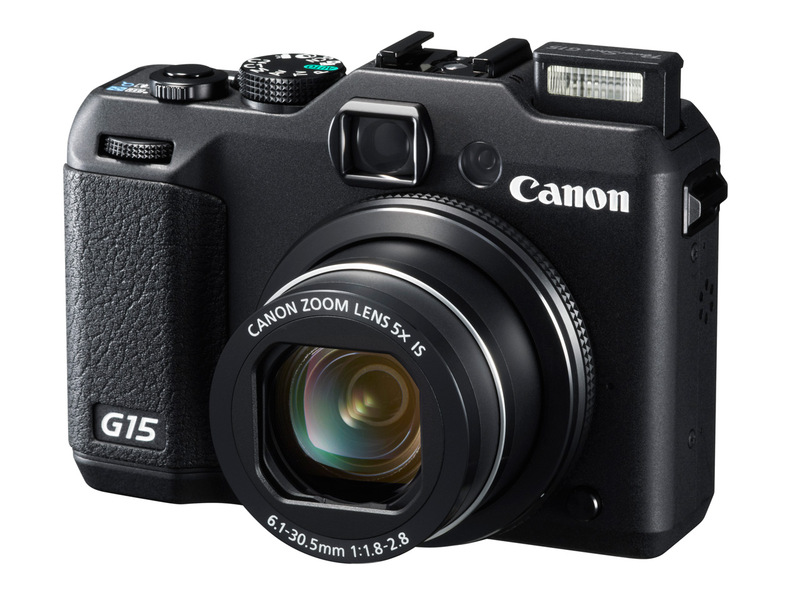 G15 - " ... but impressively bright lens is a real selling point ..."
how does that hole for letting light in compare to the hole on the RX100 or other ' 1" ' cameras? Isn't the lens fast because the sensor i small? For Sony to match the G15's AV & TV at the long end, you must crank up the ISO by 1.5 stops. Some of these are far from Compact!!! So stupid it's actually infuriating. I have no idea how the moderators have put up with you people for as long as they have. I would have had a psychotic break years ago. I would totally understand if they just ignored the comments section for their own sanity. Nightwings, no rational person could possibly speed coherently when surrounded by this level of incompetence. Instead of thanking me for giving me sound information, you do this? On one hand, I don't want to be too hard on you because you have a long posting history. On the other hand, you're spreading misinformation, and you should be more careful. GMart, there are no APC-S sized sensors here. The biggest is the 1" on the Sony. They are in fact all classed as compacts. What's wrong with the Canon G1X??? Why it is not on this list?!?! The word "Compact" has a list of definitions and uses. Just because the list does not match the one you picked does not mean it does not match another. "What's wrong with the Canon G1X??? Why it is not on this list?!?!" Slow AF, slow fps, large and heavy, price (you can have very good mirrorless and SLR cams at this price and weight). ...and where is the Pentax X-5? it feels like small DSLR and can use AA batteries!